just two miles southeast of Charlotte Center City. Our building is situated diagonally across N. Caswell Road from Novant Health Presbyterian Medical Center, with our main entrance on Randolph Road. 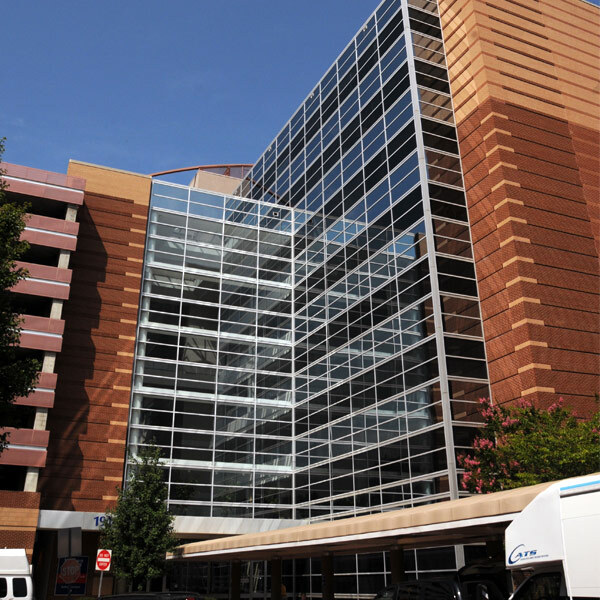 Free parking is available 24 hours a day, 7 days a week in the parking deck adjacent to the Midtown Medical Plaza building. If you are coming in from Randolph Road, the parking deck entrance is located on Level 1P. After pulling into the Randolph Road entrance of the parking deck you will turn left onto the ramp which leads up to the higher deck levels. From Providence Road, the parking deck entrance is located on Level B. 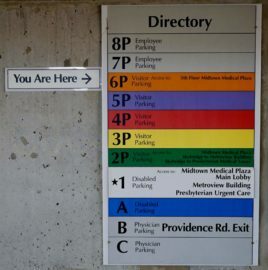 After pulling into the Providence Road entrance of the parking deck you will follow the Visitor Parking signs directing you up to the higher deck levels. 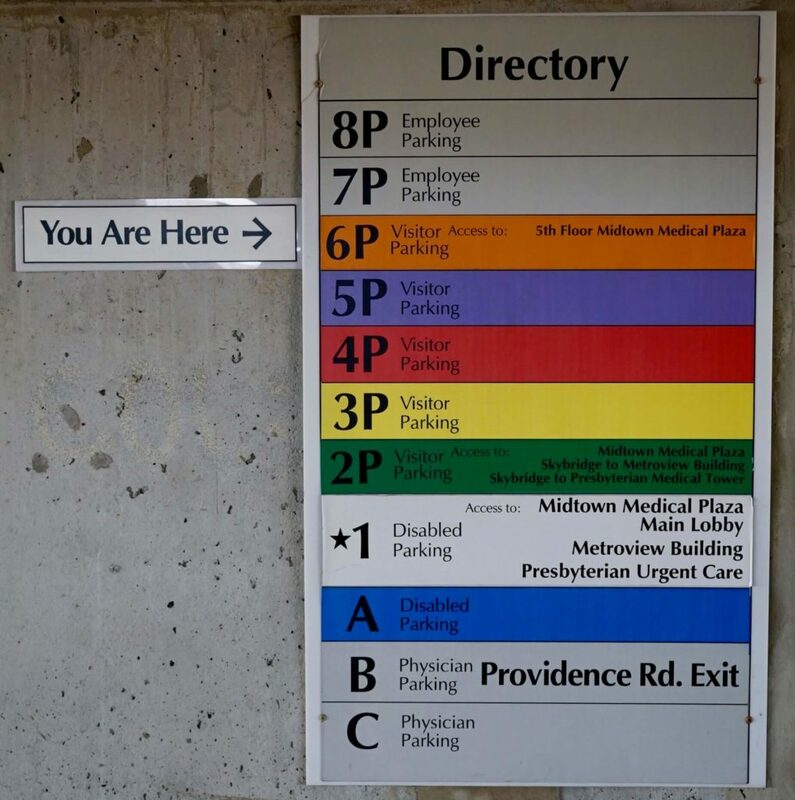 From either entrance, continue upwards & park on Level 6P, which is color coded orange on the Directory signs posted throughout the deck. 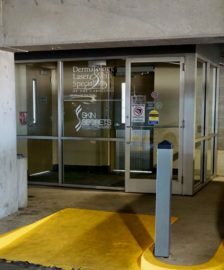 DLVSC’s entrance is marked in the parking deck by a large window sign. Enter through the glass doorway on level 6P and continue straight through the next door to enter the building. Walk across the catwalk and our office is immediately to your right.